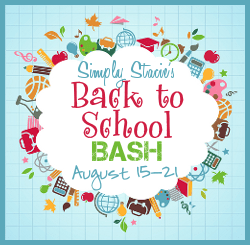 When students head back-to-school this year they can do so in colour and style with a wonderful selection of cutting edge products from Sharpie®, Paper Mate® and Expo®. My children love to create their own personalized “works of art” and we were drawn immediately to the vivid, bright colours. With a flashback to the 1980’s Sharpie® features the limited edition “80’s Glam” set of fine point permanent markers. My four year old daughter’s eyes lit up when she first saw the new colours with appropriately titled funky names like Argyle Green, Leg Warmer Orange, Jellie Pink, Banana Clip Yellow and my personal favorite, Valley Girl Violet. Sharpie® really hit the mark with these quick-drying markers that are made using fade and water-resistant ink. My husband and I always keep the traditional black permanent Sharpie® marker in our drawer whenever we need to use permanent ink and I am delighted to add the 80’s Glam set to our collection. Another innovative product from Sharpie® is the Gel Highlighter that is now available in pink, yellow and orange. Perfect for the busy student, this Gel Highlighter really does go on the page dry as promised with no bleeding through the paper. Since it is made using a gel instead of ink it does not dry out like a regular highlighter if the lid is accidently left off. It has superior smear protection and even fresh ink from my printer did not smear a bit on the test page…..I was very impressed! With just a simple twist of the bottom, the gel was ready for me to use to highlight the curriculum in my teacher’s guide while my children doodled and drew a picture. I am very pleased with the performance of the Sharpie® Gel Highlighter and anticipate this is definitely a must -have product for students and adults as it works for multiple uses. Paper Mate is proud of the Profile® which is described as the “World’s Smoothest Pen™”. I am very particular about pens and was initially skeptical but not for long. The Profile® has a comfortable grip and the extra bold ink glides on the paper with virtually no effort. This is my favorite pen ever for journaling or for use with stationary. The Profile® is available in quick drying black, blue, red, purple, green, orange and magenta ink with a stylish matching grip. It will be a pleasure to write my holiday cards and matching envelopes this year using the Profile® from Paper Mate. As a home school mom who uses a lot of dry erase markers…….I have had my share of frustration with dry erase colours marking on clothing, shoes and other inappropriate places. I was absolutely thrilled that Expo® has a line of washable dry erase markers! The bright, bold colours are fun to use, erase easily and more importantly are designed to easily wash from skin, most washable fabrics, carpets and more. We love to use these Expo® Washable Dry Erase Markers and I am now worry-free even when my youngest son is participating in lessons. As you head out shopping, armed with your back-to-school supplies list, I highly recommend the new Sharpie® 80’s Glam Permanent Markers, Sharpie® Gel Highlighters, Paper Mate Profile® and Expo® Washable Dry Erase Markers. Sharpie® 80’s Glam Permanent Markers are available for purchase at Walmart, Staples and Loblaws. The Sharpie Gel Highlighter is available at Walmart, Staples and Grand & Toy. The Paper Mate Profile® is available at Grand & Toys, Walmart and Zellers and Expo Washable Dry Erase Markers are available at Staples. I have two daughters that are budding artists so we would have no problem finding a million uses for all these great products! My daughter is a super crafter! She would definitely make good use of these! i would use these with my grandchildren. We could get creative with these. I’m a doodler- I’d use all of these pens to doodle! I would use them for journaling and making a schedule. I’d use them for decorating jars, plastic containers, etc. For my tutoring class – we’d love to add a litle color! Between the many list on the fridge and my very artistic daughters these would constantly be used!!! I would use them at work.. share with lots of people and enjoy them!! 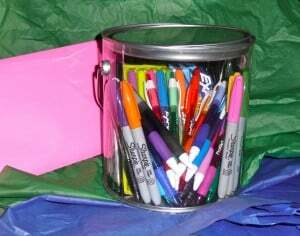 How would I use these products from Sharpie®, Paper Mate and Expo®? Well… Extensively 🙂 I’m a nursing student, so I always need quite a few of pens on me. Write down notes during some lectures, doodle during others, write tests and exams and fill out patients’ charts. And I love having multiple colors on me, some anatomy & physiology notes are so much better when drawn! I am an office supply fanatic. I love all kinds of pens, pencils, papers and highlighters! I would make use of these things on a day to day basis, just doing my paperwork! Oh, my daughter and I would love to win this prize!! We do scrapbooking together (she’s 7). It’s one of our bonding things – but we use things from old books, brochures, cards, we don’t buy alot of things for our projects so this would be such a blessing to add to our work area. I would use these for so many things. I have to label the pre-kers clothes and all the three kids that are in schools supplies and backpacks. Plus, there are many many more things I use these for on a regular basis. I’m also very choosy about my writing utensils, and these all sound like they’d fit into my arsenal quite well!! I’d use them at home AND at work!! My daughter is an artist. She’s all for projects and self expression on paper, chalkboard, whiteboard… whatever I let her start scribbling on. I’d love to give her a few new types of writing utensils! I also use sharpies around the house for EVERYTHING! My daughter loves to draw with Sharpies, and would use these for her artwork. I’d use them for classes and work! 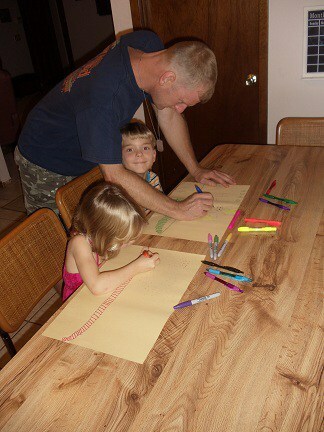 My wife & kids love to create and draw & send cards & notes to everybody. They would love this! therefore it’s fastidious to read this blog, and I used to visit this blog daily.